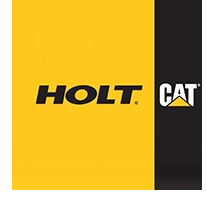 ​​​​​ ​WACO – HOLT CAT will purchase Caterpillar’s former Waco Work Tools plant at 2000 Texas Central Pkwy. The purchase includes 107 acres with three buildings totaling more than 170,000 sf of manufacturing, warehouse, and office space, which the company will redesign. Work on the project is scheduled to be completed by the end of the year. Caterpillar Inc. announced it planned to close the Work Tools facility in February 2018.